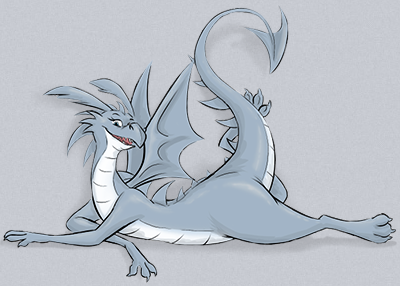 Meadowhawk is an on-line black & white comic strip created by Nicole Johnson — aka, the artist Ribnose (check her out at Fur Affinity). The comic strip deals with dragons — but dragons of a decidedly modern nature, in a decidedly modern world. “Modern dragons who, if asked to account for dragon lore, would cluelessly click to the same wikis you or I would for a quick refresher. Dragons for whom words like ‘pillage’, ‘slay’ and ‘burninate’ are the names of faraway concepts, found only in musty histories of dubious accuracy. These are dragons who have only been around as long as you or I (so far). They know as much about their Middle Ages forbears as we know about our tribal ancestors. Heck, they barely remember a time before the Internet.” The comic is updated several times a month, and guest artists have been known to stop in and do a strip or two — so to speak. Take a look at Meadowhawk.net for the latest.